The BBC's two news channels face further changes in the new year, as further cutbacks come into force. Across the BBC News Channel and BBC World News, the number of presenters is to be cut, resulting in the end of regular double headed presentation on the BBC News Channel - currently only still in place for the afternoon shift - and the end of the evening edition of Business Live on BBC World News. But BBC News Channel viewers in the UK can expect more live news beyond 8:30pm, according to current plans, while on BBC World News, business presenter Aaron Heslehurst will front a new mid-afternoon show, timed to coincide with the opening of Wall Street in the USA and prime-time in parts of Asia. Details of all the changes, that are expected to affect who and what viewers see on screen from April 2017, are yet to be confirmed by the BBC. Reports of an extension of live news beyond 8:30pm follows a recent revamp of the Sky News schedule, which will be fully phased in by next week. BBC News and BBC World News currently show HARDtalk followed by interactive news show Outside Source from Monday to Thursdays in this timeslot, with occasional exceptions for news specials. The changes are part of a drive to achieve a 10% cost saving. A total of six presenter roles could be axed - up to three on the News Channel and three on the World News channel. Additional roles behind the cameras will also be cut, according to the plans. To avoid compulsory redundancies, the BBC is seeking volunteers for the axe, but will try to redeploy staff if possible. 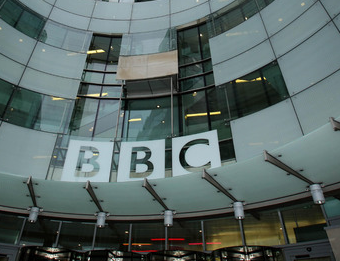 During the past 18 months, the BBC News Channel has been saved from a merger with BBC World News and avoided the fate of BBC Three, when plans to make it an online-only service revealed it wouldn't save much money. Recent proposals to change the working patterns of staff on the World News channel resulted in industrial action. BBC News Channel is funded through the licence fee and available on UK TV platforms. BBC World News is distributed outside the UK and receives money raised from subscriptions (in countries where the channel is not free-to-view) and advertising, resulting in a complex funding structure for BBC News as a whole. Share of licence fee funding and commercial revenues have been falling in recent years.